The Lady Amherst's Pheasant is originally from southern China. Escaped animals may be found in England. 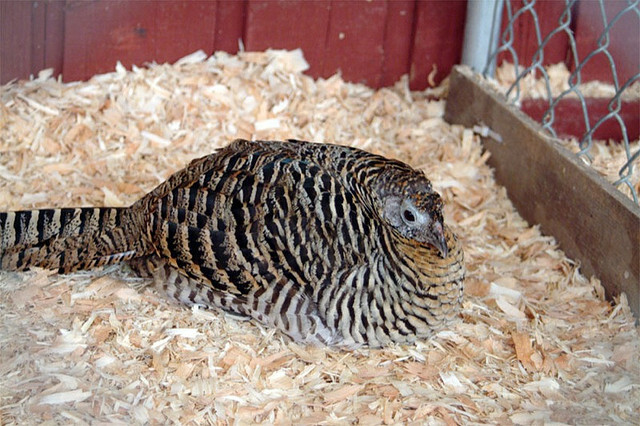 The female is brown with a fine striped pattern, the male has a mix of bright colors.